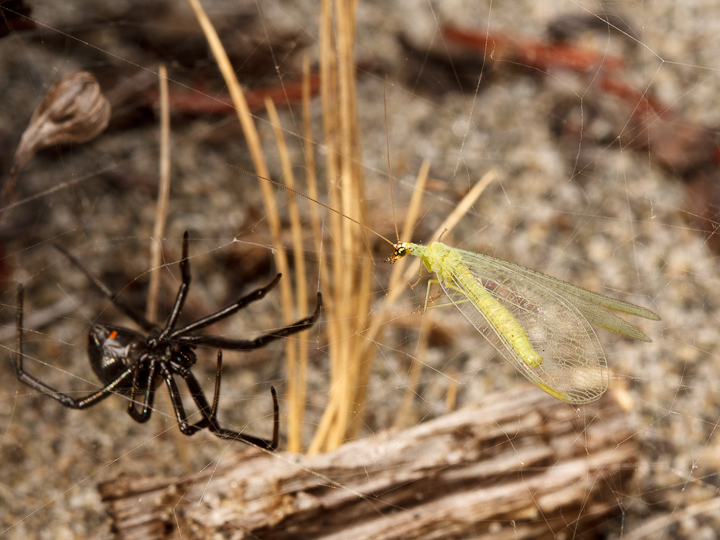 Island View Beach was not all bees and high fashion, I also got some cool shots of some awesome predators. 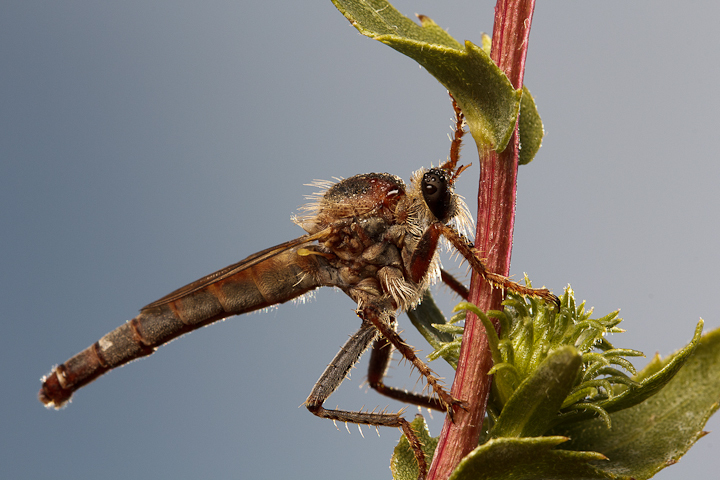 First up is this cool robber fly! I think it is in the subfamily Stenopogoninae, but I am by no means an expert. Here is how I found it, shot with the 300. 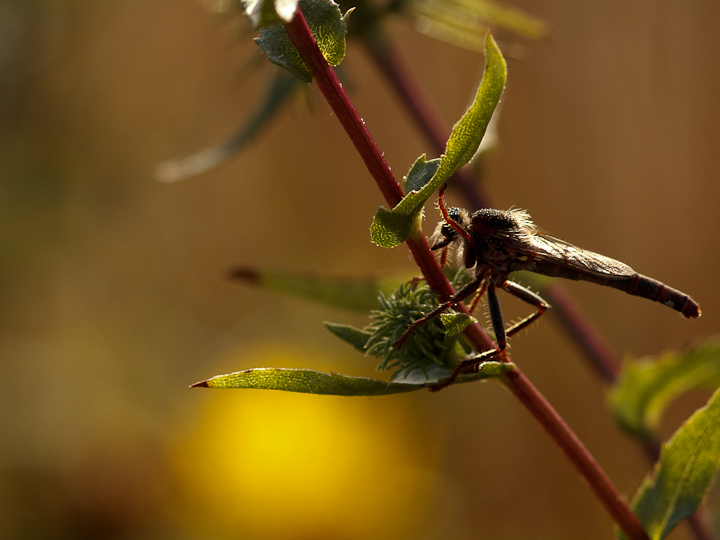 Dewy on the perch, the sunlight catches its hairs and bristles nicely. 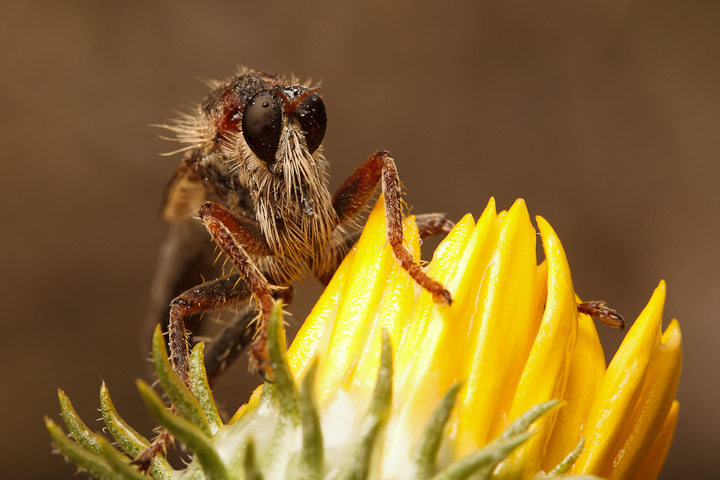 With some coaxing, I got it to perch on top of the flower. 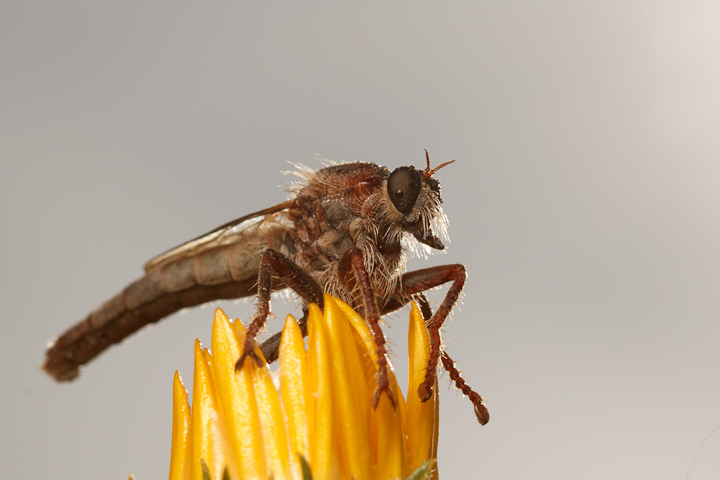 Robbers are some of my favourite flies, possibly because of how raptorial they are. 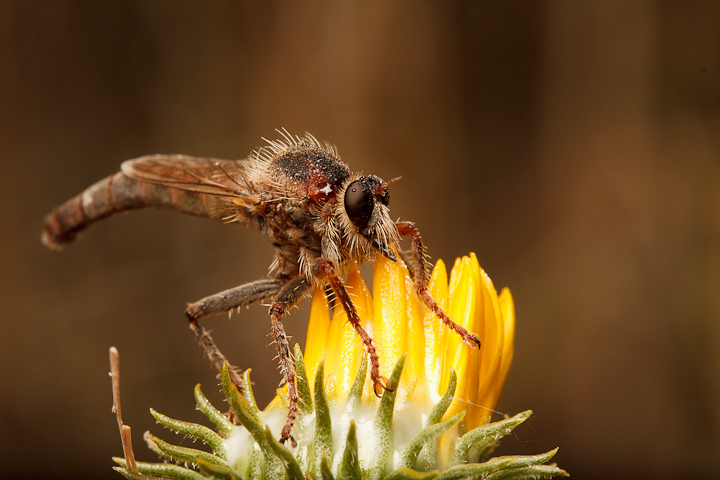 It takes them some time to warm up for flight, so they are great subjects for a photographer. 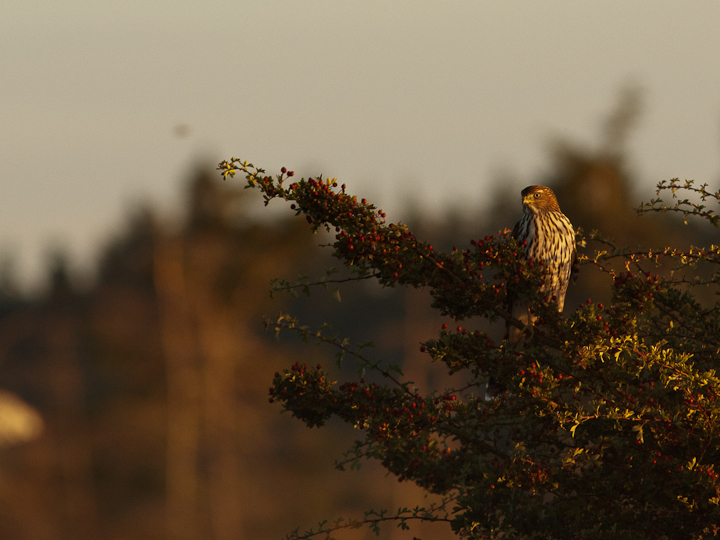 I also saw a couple of juvenile Cooper’s hawks haunting the seaside vegetation. 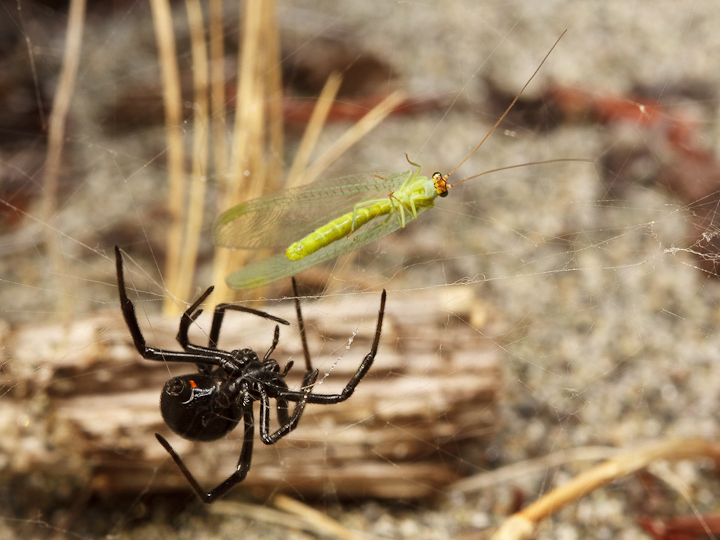 They hunt from perches like robbers, but have a more protracted chase when they spot prey. 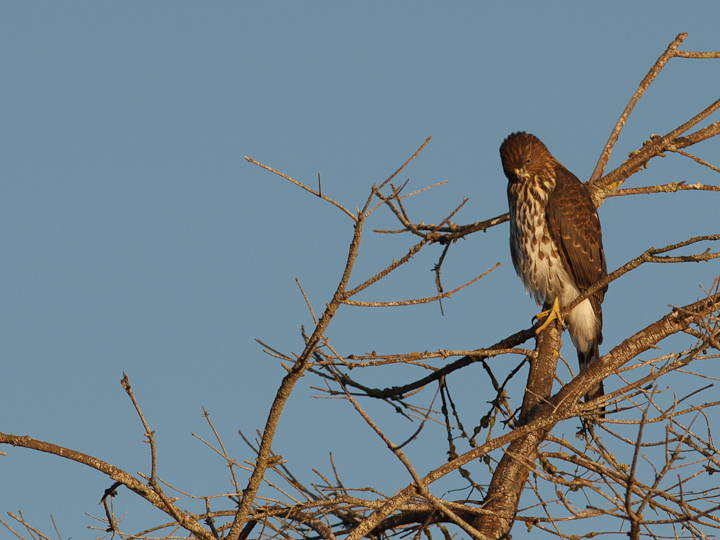 As endotherms, these hawks are more difficult to approach! 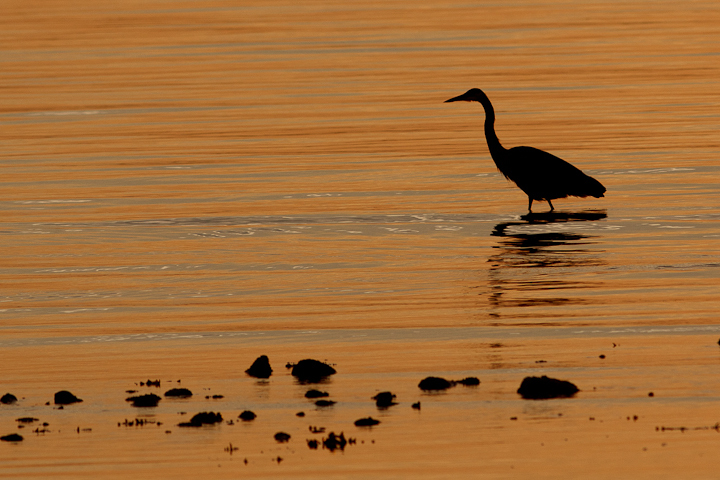 The tidal shallows at dawn is a great place to find Great Blue Herons, looking marvelous as silhouettes. 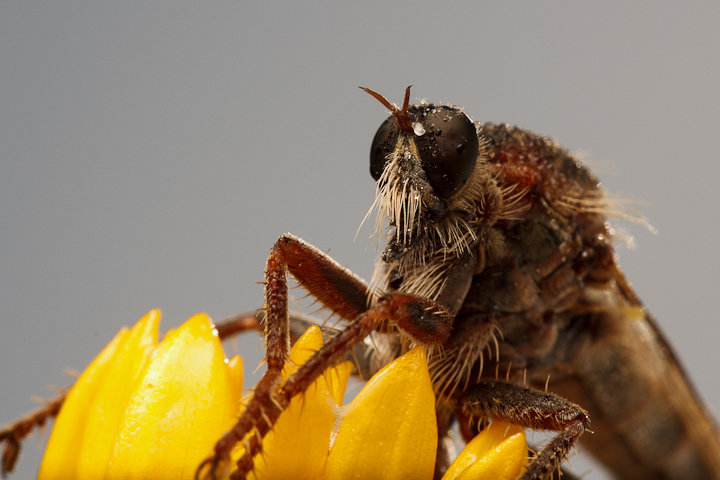 Here is what happens when an Ammophila chooses the wrong perch to sleep. 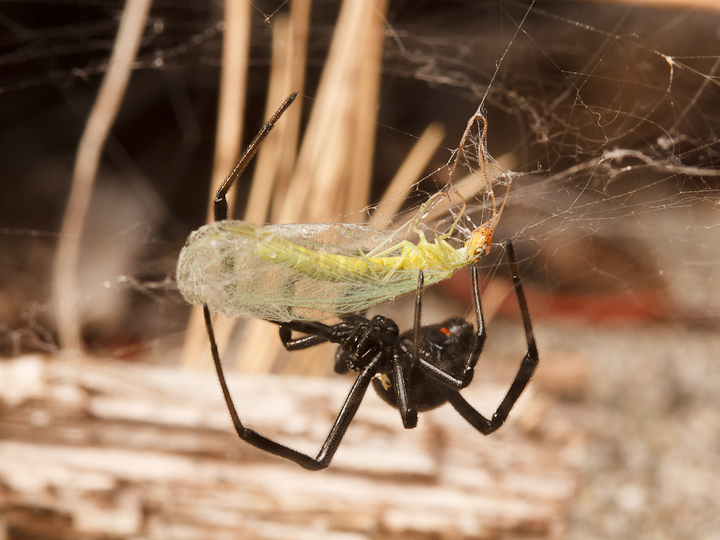 And this is what can happen if a lacewing hits a black widow web! This entry was posted on August 12, 2014, in Natural History. Bookmark the permalink.